Raymond Claire Willner was born December 28, 1910 in Port Richmond, on Staten Island, in New York City. His father, Charles August Willner, was born in 1875 in Sweden, and came to America in 1904. His mother, Maude Daisy MacGeary, was born in 1877 in Pennsylvania of Scottish ancestry. His parents married in NYC on May 30, 1906 and had four children, Charles Benjamin Willner (b.1909), Raymond Claire Willner (b.1911), Samuel Willner (b.1914), and Ester Willner (b.1917). The family lived at 109 Prospect Street in Stapleton on Staten Island. The father was a house carpenter. 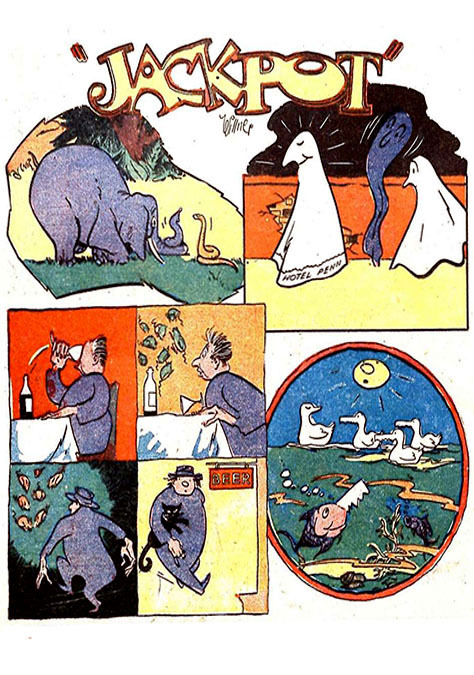 While still a child, Ray Willner, had scarlet fever, which left a chronic tremor in his left hand, which was his drawing hand, however the condition did not affect his drawings. In 1917 the family moved to Kearny, New Jersey, where they lived at 205 Laurel Avenue. Kearny is a suburb of Newark, NJ, where the father worked as a riveter at a submarine boat yard. After The Great War the father returned to work as a house carpenter. In 1925 the Willner family moved to Union, NJ, which is another suburb of Newark. The Union City Directory listed "Raymond C. Willner" as a student living with his family at 979 Lorraine Avenue. In June of 1931 Ray Willner graduated from Union High School, where he had become interested in a career as a commercial artist. During the Great Depression the Willner family suffered hard times as house carpenters were unable to find work, so the father and older sons struggled to support the family by working as handyman carpenters. 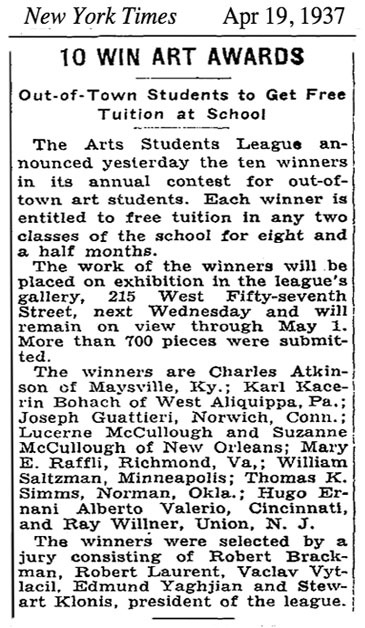 On April 19, 1937 The New York Times reported Ray Willner had received a scholarship to study at the Art Students League in NYC at 215 West 57th Street. 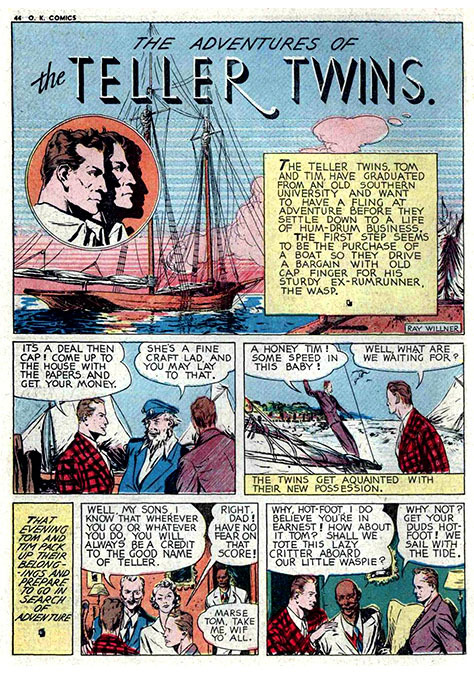 While studying at The Art Students League he met another young artist, Allen Ulmer (1919-1984), with whom he would soon collaborate on many features for comic books. While studying at the school he also met another young art student who would later become his wife, Dorothy "Dot" Major (1921-2015). In 1939 Ray Willner opened an art studio in Newark, NJ. 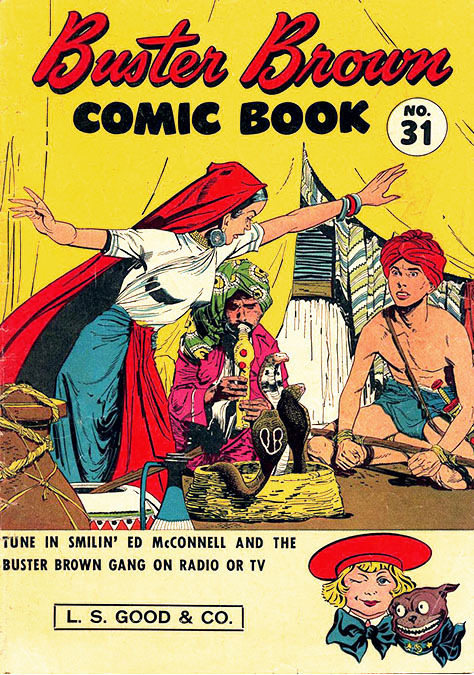 In 1939 he drew for comic books produced in NYC by Worth Carnahan. In 1940 Ray Willner lived at 54 41st Street in Irvington, NJ, which is another suburb of Newark. 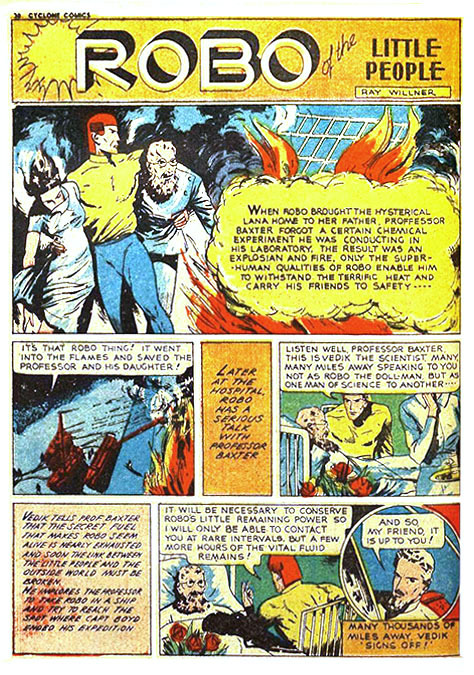 In 1940 he began to work in collaboration with Allen Ulmer on features for comic books. 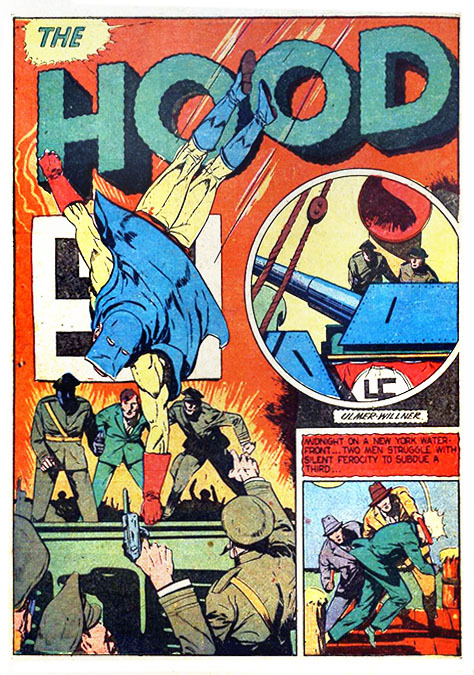 They co-produced The Hood, Rag-Man, and Captain Aero. Allen Edgar Ulmer (1919-1984) was born August 7, 1919 in Lancaster, Pennsylvania. He studied at the Pennsylvania Academy of Fine Arts until 1939, after which he moved to NYC to study at the Art Students League. 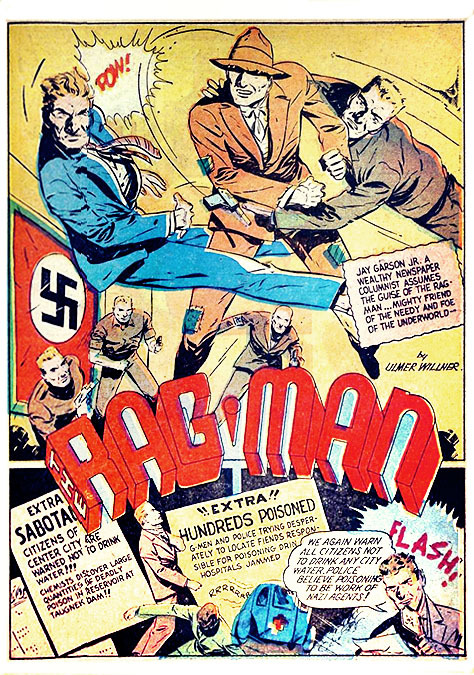 On January 28, 1942 Ray Willner enlisted in the Army. 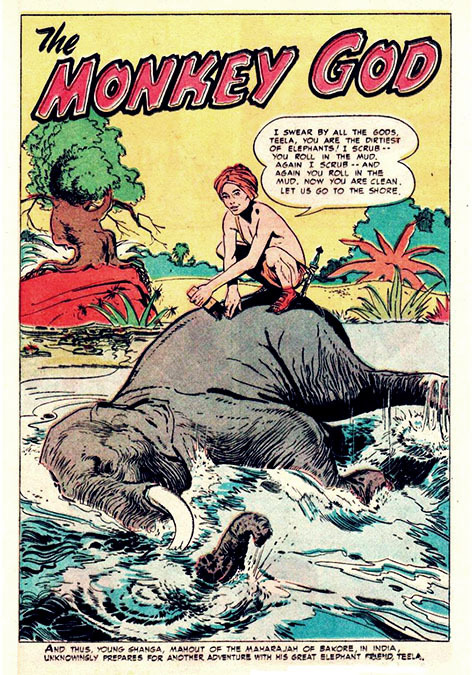 He was recorded at the time to be six-foot-tall, and weighed 162 pounds, so he was tall and thin. He did his basic training at Fort Dix in NJ, and was stationed overseas, where he received four Bronze Stars for battle engagements, after which he was transferred to a division of Army Intelligence to do photo-analysis of aeriel photographs and cartography. He was honorably discharged on December 2, 1945. After the war Ray Willner resumed his career as an illustrator in NYC. 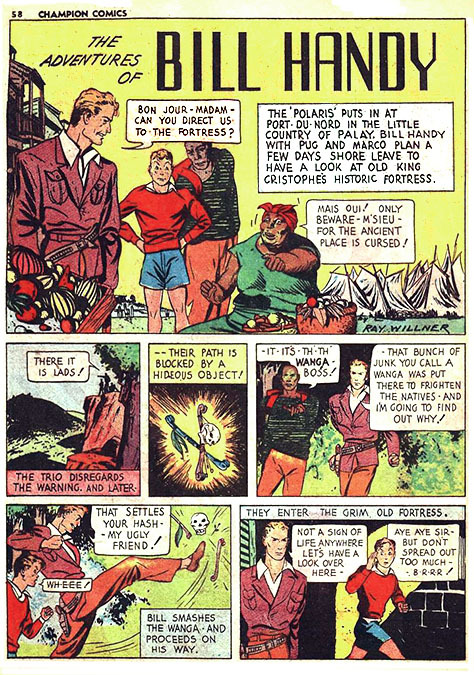 He was listed as "Editor" in the ownership statement of the August 1946 issue of Cat-Man Comics, published by Continental Magazines, which was owned by Frank Z. Temerson. In 1951 Ray Willner married Dorothy "Dot" Major. She was born on September 23, 1921 in Chatham, NJ. her father, Russell C. Major (1900-1973), was also a home builder. She was graduate of Syracuse University College of Art. The married couple moved to Chatham, NJ, where they lived at Fairmont Avenue and raised two children, David Willner and Lori Willner. 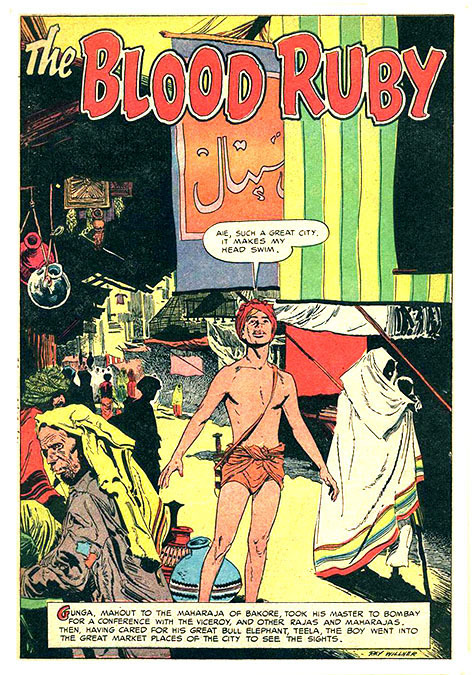 According to comic book historian, Hames Ware, "Ray Willner was one of the best! 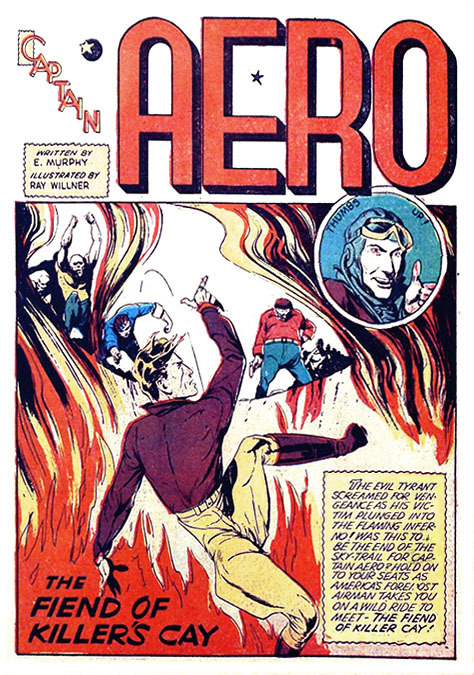 He drew in collaboration with Allen Ulmer in the early 1940s. 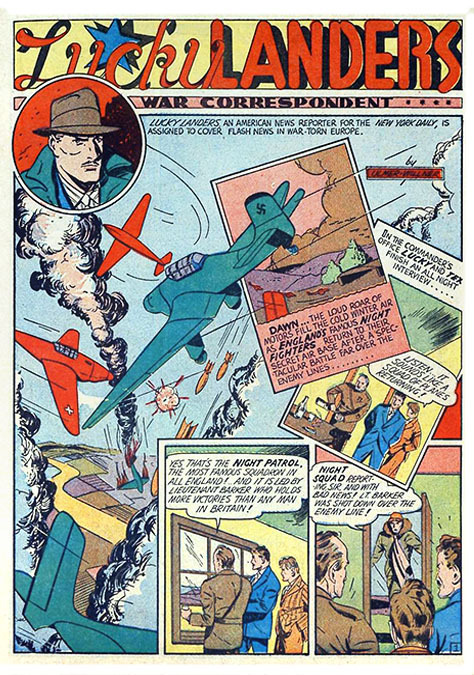 He also collaborated to a wonderful effect with Max Elkan on the Cross-Draw Kid in the late 1940s at Ace Comic books. 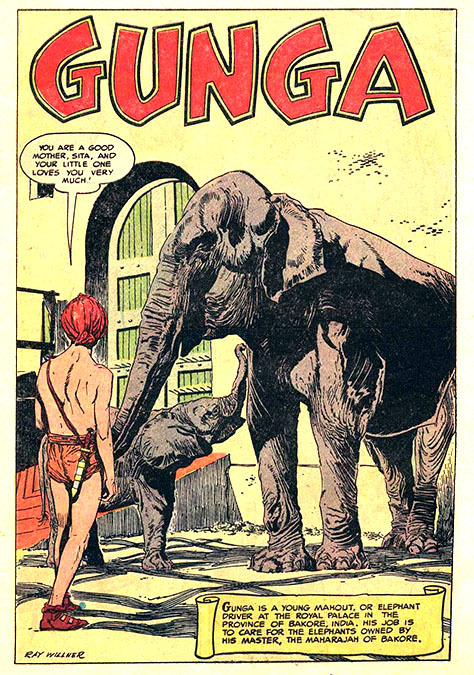 He also worked with Reed Crandall at Buster Brown Comics, where Ray Willner drew his most iconic work in the 1950s, Gunga - The Indian Jungle Boy." 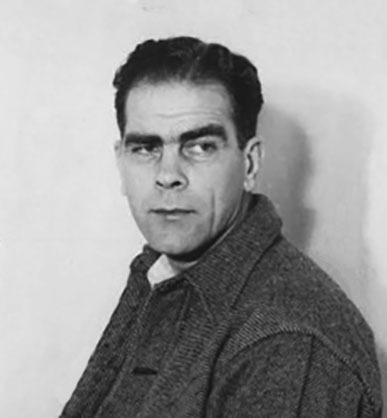 After the 1950s Ray Willner retired from illustration to concentrate on painting landscapes, which were exhibited locally in New Jersey, where he received numerous awards. His wife, Dorothy Willner, was a public school art teacher. She also had a long career as a landscape painter and portraitist, and received awards from regional art shows. In 1975 the Willner family lived at 83 Franklin Court in Flemington, NJ. In 1986 the Willner family moved to a home at 3 Glenwood Lane in Stockton, NJ. Raymond Claire Willner died at the age of ninety-one in Stockton, NJ, on February 4, 2002. His wife, Dorothy Major Willner, died at the age of ninety-three on June 28, 2015.